As a gesture of frugality and fiscal responsibility in the most severe economic recession since the 1930s, the Southwest Home Equity Assurance Program has decided to give its annual Welcome Home Walk a break. The event, which had been tentatively scheduled for this month at Hale Park, will instead be held some time in the future, time/date/place to be announced. "We certainly have the resources to stage a walk this year," stated program Executive Director Kenneth E. Pannaralla. "But I think that in these times, there is value in showing restraint to make a point about responsibility." Figures show that fiscal responsibility appears to be a hallmark of the program in recent years. While attendance at the walk has increased steadily every year, event expenditures have been almost cut in half---from $76,700 in 2005 to $38,900 in 2011. Further, since Pannaralla's arrival as executive director in 2004, the program has cut in half the printing bill for its signature marketing piece, the 24-page SWHEAP brochure. While the annual walk has been a success by most measures---particularly attendance, which has been in the hundreds---it has not yielded the recruitment results that the program seeks. For example, just one local family last year signed up for the program at the walk. "However, the walk is a good event in terms of building awareness and strengthening our sense of community," Pannaralla added. "We are always looking for more innovative and effective ways to get our message out there." While the initial impetus for home equity assurance came from community groups (on both the Southwest and Northwest Sides) attempting to prevent racially-driven panic selling of homes in the late 1980s, the Southwest Home Equity Program has evolved over the years. Today it is, by its own description, "a unique program of the State of Illinois, developed to insure property values for an extended time. 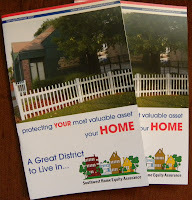 The Home Equity Program is financed by a special levy on single through six-unit residential properties within the Home Equity District." The district includes all or parts of Garfield Ridge, Clearing, West Lawn, West Elsdon, Archer Heights, Chicago Lawn, Gage Park, Brighton Park, New City, Bridgeport, McKinley Park, Ashburn and Scottsdale. The program has proven highly popular and successful. Since its inception, over 7,000 local homeowners have signed up for the program. "This is an excellent program for all Southwest Side homeowners; but perhaps especially for younger home buyers who may have concerns about buying a home for the first time," Pannaralla added. "This program removes the uncertainty about home values and helps makes the Southwest Side an attractive place to buy a home and raise a family---even more so than it already is." 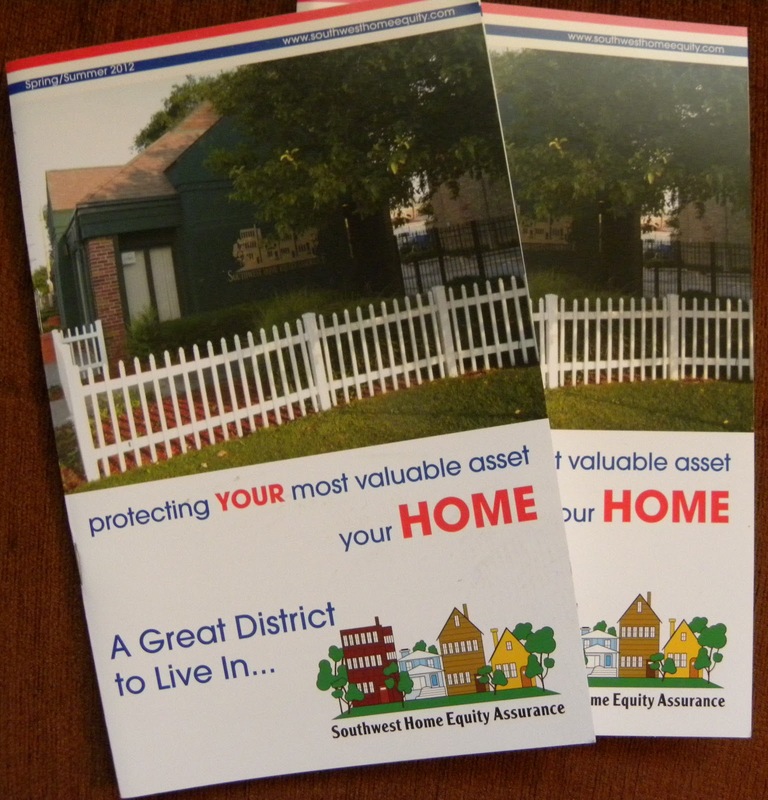 In addition to the benefits of equity assurance, program participants have access to a members-only home improvement loan program that, among other things, offers zero-interest loans of up to $10,000 (five-year fixed) for home repairs, maintenance, alterations, additions, remodeling and even landscaping. "This is a great way to add value to your home while at the same time saving thousands of dollars in interest," Pannaralla concluded. For more details about the program, visit SWHomeEquity.com or call (773) 735-2000.